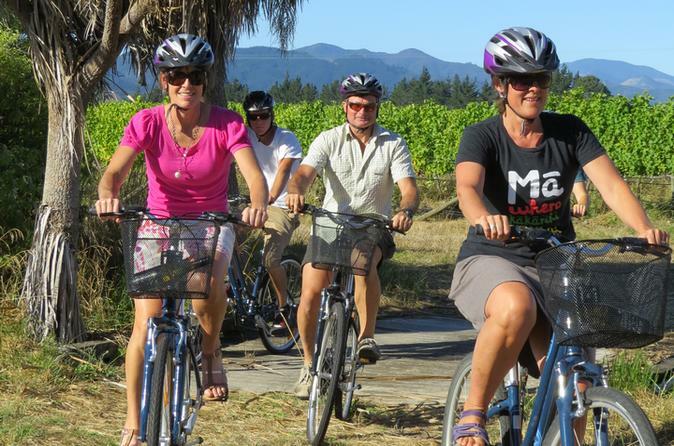 Join this tour for a relaxing full-day, guided bike tour of the Marlborough Wine Region. 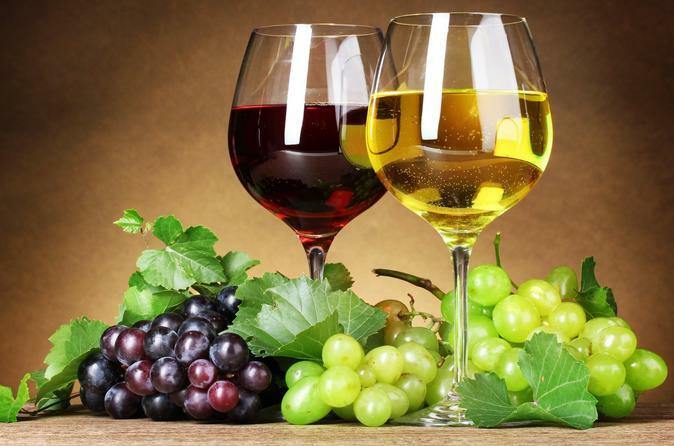 Visit 6 wineries tasting Sauvignon Blanc, Pinot Noir and a range of aromatic wines. 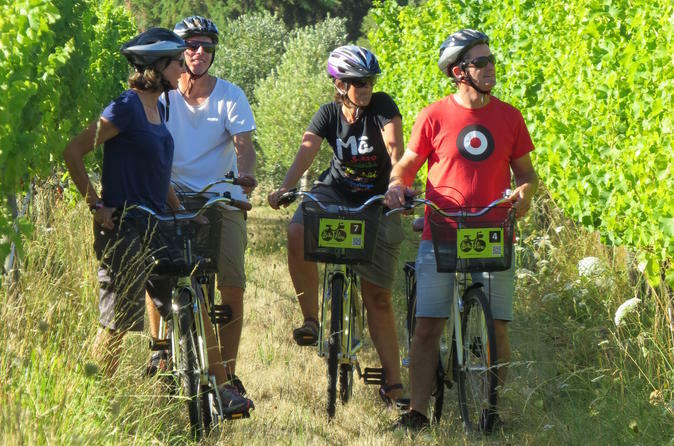 Peddle along flat, easy terrain that is suitable for all ages and fitness levels.Your knowledgeable and experienced guide will talk to you about the history of the area and its wines and the stories of its people. Lunch at a winery restaurant ( at your own cost ) All tasting fees included. Free hotel pickup and drop-off from Blenheim and Renwick hotels. Up to 8 people per tour. Leave your worries behind you, hire a bike, and spend the day touring around the beautiful, scenic Marlborough wine region. 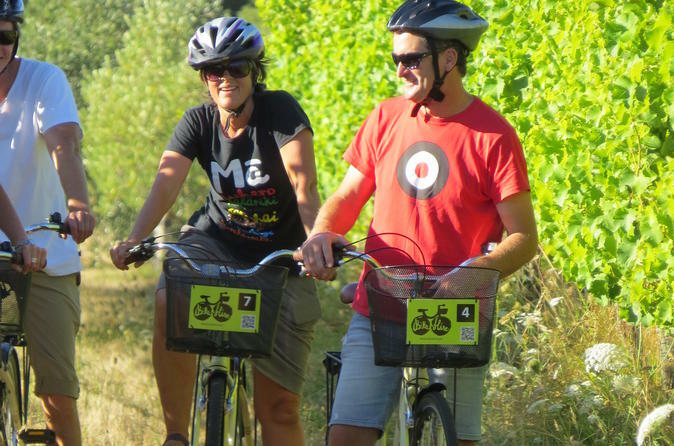 This bike hire will ensure you a stress-free day out with free use of the bike, a helmet, a winery map and free pickup and drop off from your Blenheim and Renwick accommodation. Don’t miss out on this relaxing yet exciting biking tour, save your spot today and book one of three options: Full day bike hire, full day including a delicious picnic lunch or full day including lunch from Picton! The deluxe tour of the Marlborough wine region is small group, all inclusive wine touring at it's best. Only 4 people per tour ensures you get personalized service. Experience stunning scenery, world class wines, friendly wineries, delicious food and relaxing biking. An experienced local chauffeur/guide will take you on an exciting wine and gourmet experience on this private, full-day tour from Blenheim. You will enjoy stunning scenic views of the Marlborough wine region and taste the sensational wines and seriously delicious gourmet treats and cuisine. Your interests are the priority for the day and can also include the Heritage air museum, award winning gardens, local producers of crafts and talented artisans. Your tour is custom made especially for you. Your chauffeur/guide is a professional local to ensure you receive the very best Marlborough has to offer. Your tour will be in a comfortable 6 seat vehicle with wide window view advantages. Tours depart from Blenheim with flexible tour times to suit your own schedule. 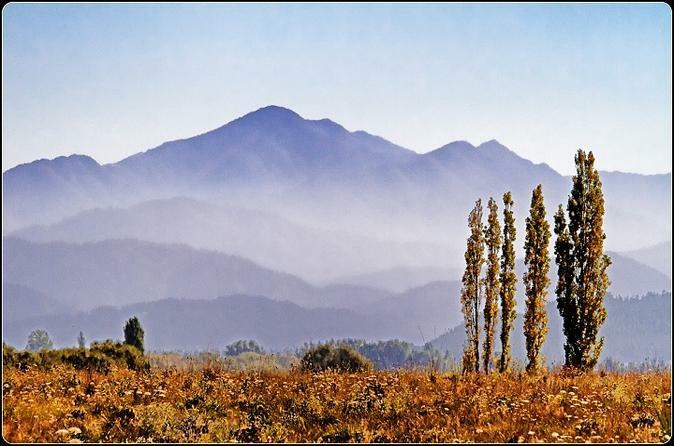 Treat yourself to this tour of discovery and experience the very essence of Marlborough. Join us for an unforgettable wine experience among the vineyards of Marlborough. 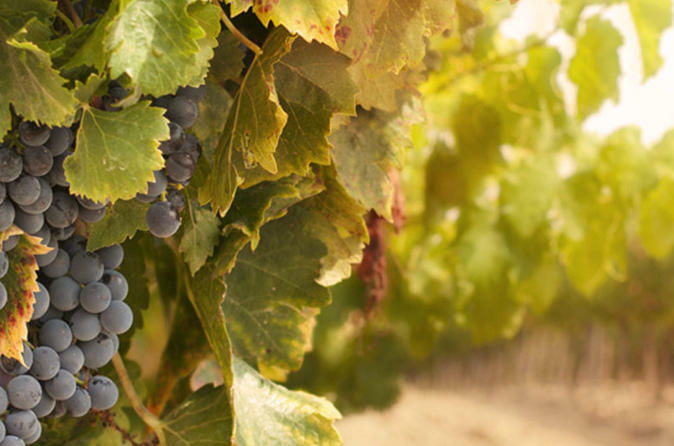 This small group tour travels in a luxury minibus and offers a full viticultural and wine making experience, culminating in you blending your own wine among the wine barrels. A 3 course meal with matched wines at Marlborough's finest restaurant is included in the day and you can start or end the tour at your leisure. Join this fabulous wine tour to the famous cellar doors of the Marlborough valley - home of the award winning Sauvignon Blanc. This small group tour visits the Falcon Heritage for an introduction to the endangered New Zealand Falcon and includes a flying display followed by a wine tasting. The Falcon Experience operates on Monday, Wednesday and Friday. Visit 4 - 5 cellar doors for wine tasting and stop for Lunch at a vineyard restaurant. 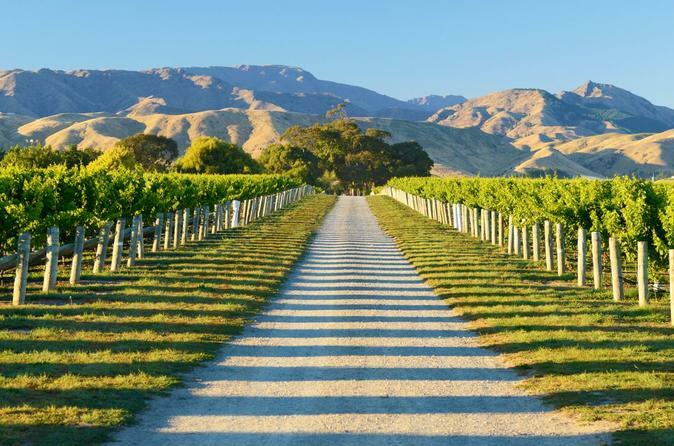 Enjoy a relaxing day out around some of the beautiful wineries in Marlborough. Learn about the regions great wines and join in on some sampling. Leave your worries behind you, hire a bike, and spend half the day touring around the beautiful, scenic Marlborough wine region. 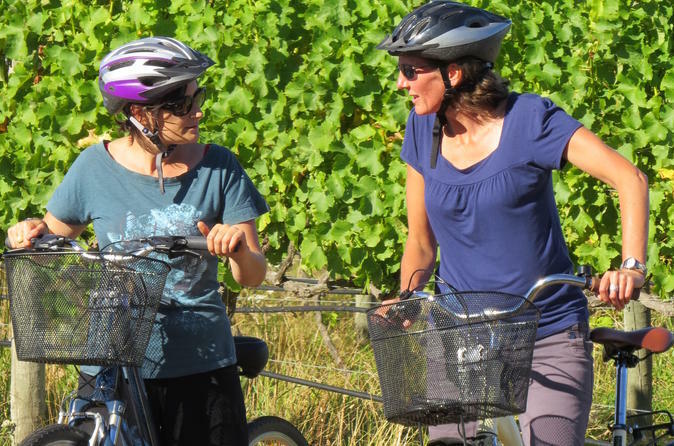 This bike hire will ensure you a stress-free half-day out with free use of the bike, a helmet, a winery map and free pickup and drop off from your Blenheim and Renwick accommodation. Don’t miss out on this relaxing yet exciting biking tour, save your spot today for an amazing half-day out! 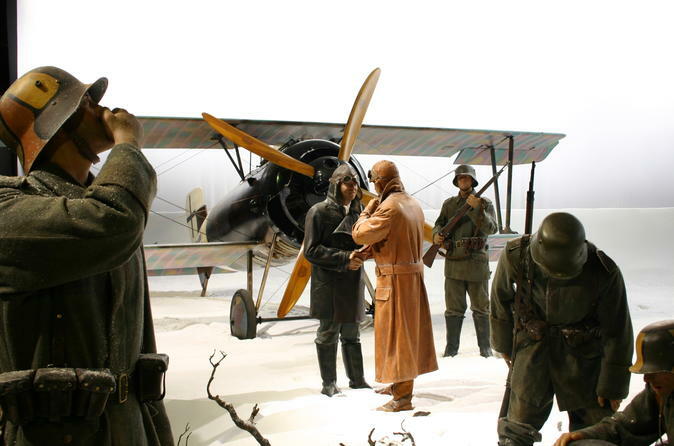 The Omaka Aviation Heritage Centre presents the outstanding Knights of the Sky exhibition, featuring Sir Peter Jackson's own collection of World War One aircraft and artifacts. This story of aviation in the Great War is brought to life in sensational sets created by the internationally acclaimed talent of WingNut Films and Weta Workshop. Not just for aviation buffs, this world class exhibition has something for everyone. 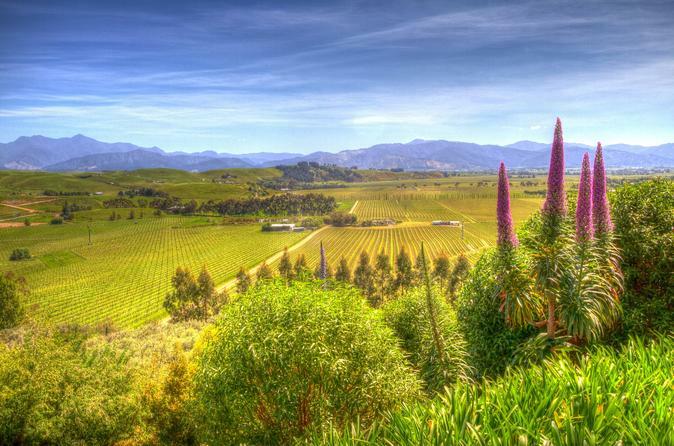 This relaxing tour offers a full-day experience of the Marlborough region, right at the top of the South Island of New Zealand. You will experience sensational wines, stunning landscapes and seriously delicious gourmet. A variety of options can also be included for heritage, ocean views and local craft hot spots.